While some may not be fans of crowdfunded games, it'd be churlish to disregard them entirely, especially as promising titles such as Cloudberry Kingdom and Shovel Knight are coming to Nintendo platforms courtesy of receiving vital funds through their own campaigns. Sometimes projects of undeniable quality emerge, and one that seems to fit the bill at this early stage is Monochroma by Nowhere Studios. Based in Turkey, Nowhere Studios comes to Kickstarter with a large part of the project ready, with the goal of the fundraising being to help the company through the final months of finishing content and refining the game. Set in a 1950s dystopia, Monochromia is a puzzle platformer with a visual style that can be equated to popular download title Limbo, with four distinct areas to be explored by two brothers. The target is for each area to be a chapter that's roughly 90 minutes long. The main target platforms are PC, Mac and Linux for December, but it's been confirmed that if the target's hit the title should come to Wii U by May 2014, as the studio looks to reach as many platforms as possible. At the time of writing the campaign has reached over $25,000 of an $80,000 target with 24 days to go. Thanks to Stephanie for the tip. I love the look of this game. A good atmosphere in a game is always a plus for me. Looks sweet. I'd definitely buy it. There's not enough black and white games. I would love a proper MadWorld sequel on the U.I haven't played human skittles in ages. @Nintenjoe64 exactly, Madworld needs to continue! This is definitely a must for me! I love Limbo, a Shadow's tale/Lost in Shadow, and Ico more then most other -none-Nintendo- games. I got me money waiting in the wings. This looks (and sounds) AMAZING. So much so that I'd really like to get a much longer game out of it. A madworld sequel would be epic, hell keep the black and white and red but with more power behind it and HD.... amazing it would be. Platinum games is currently working very hard on two amazing looking games for Wii U, which I'll both eagerly get day one, but I sincerely hope they'll make Madworld 2 for Wii U afterwards. 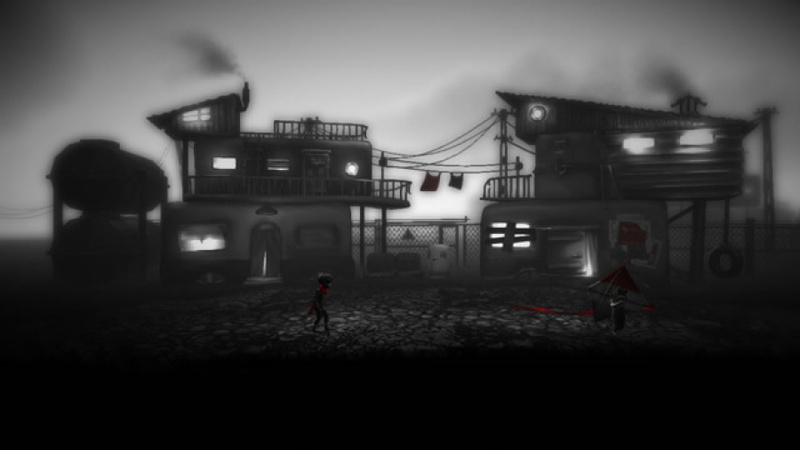 Hey looks like that game called Limbo that I adore :3. Will get if it comes for the Wii U. This looks awesome I would defiantly buy this! If this doesn't get kickstarted than Kickstarter is dead. lol. It looks great, it has a demo and is mostly done and it's a modest goal. Looks very atmospheric, with some stunning visuals and great music. A good original puzzle/platform adventure game is something I never growed tired of. Saw this awhile ago, so happy that I might get a chance to play it on the Wii U!